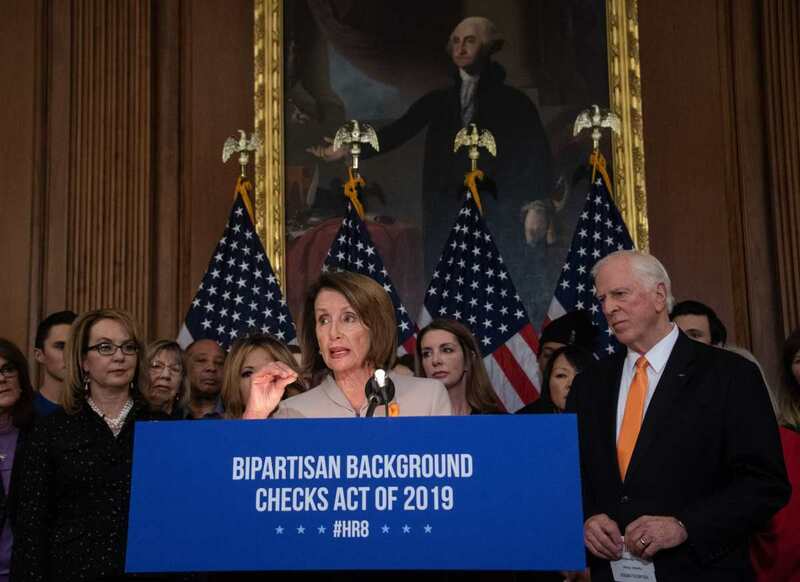 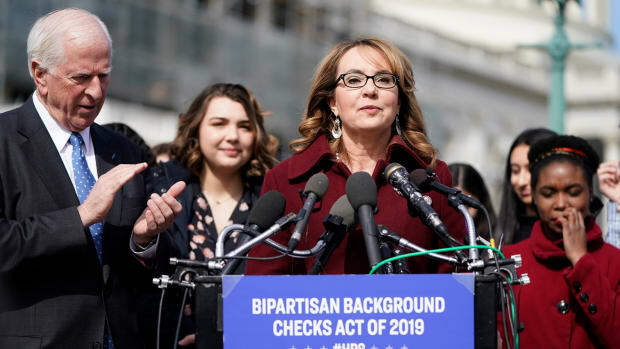 House Speaker Nancy Pelosi holds a press conference with former Arizona Representative Gabrielle Giffords and Representative Mike Thompson (D-California) to introduce legislation expanding background checks for gun sales at the Capitol in Washington, D.C., on January 8th, 2019. 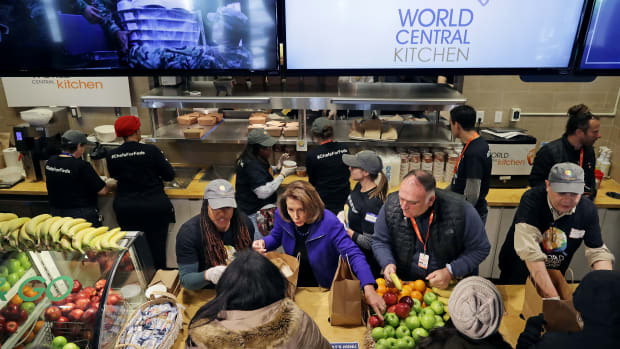 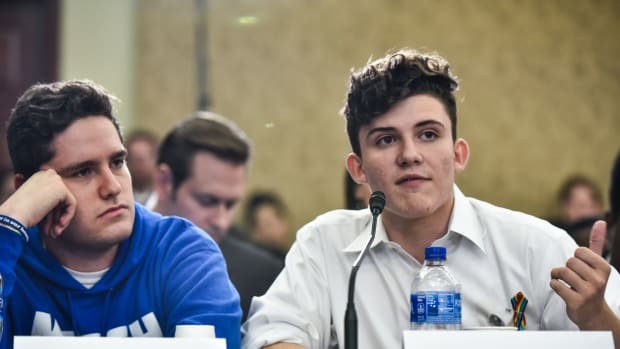 Speaker of the House Nancy Pelosi and celebrity chef Jose Andres help distribute food to furloughed federal workers at the World Central Kitchen on January 22nd, 2019, in Washington, D.C.
Students gather at a gun control rally at the West Front of the U.S. Capitol on March 14th, 2019, on Capitol Hill in Washington, D.C.
Twenty-six Democrats in the House joined Republicans to pass a provision requiring that vendors notify ICE when background checks reveal gun applicants to be undocumented. 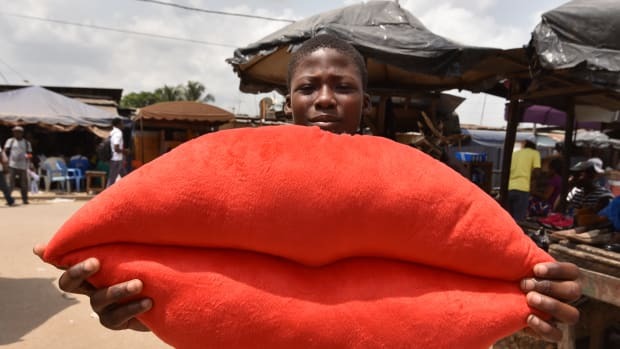 A boy poses with a pillow shaped like lips on sale for Valentine's Day in Yopougon, Ivory Coast, on February 13th, 2018. 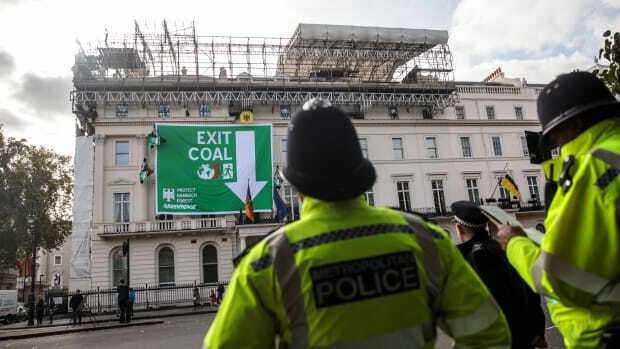 Police officers look on as Greenpeace activists hang from ropes after unfurling a banner outside the German embassy in a protest against coal on October 8th, 2018, in London, England.